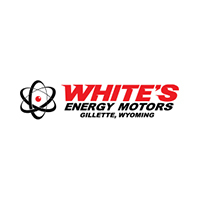 67 Used Cars, Trucks, SUVs near Spearfish | White's Energy Motors " "
This reputable 2011 Dodge Ram 1500, with its grippy 4WD, will handle anything mother nature decides to throw at you!!! You've been hunting for that one-time deal, and I think I've hit the nail on the head with this tip-top Vehicle* Dodge CERTIFIED!!! Big grins!! This is the vehicle for you if you're looking to get great gas mileage on your way to work** Great safety equipment to protect you on the road: ABS, Traction control, Curtain airbags, Passenger Airbag, Dusk sensing headlights, Stability control...It is nicely equipped: Power windows, Auto, Tilt steering wheel, 4 Doors, 4x4, Fuel economy EPA highway (mpg): 18 and EPA city (mpg): 13, Tachometer, Bed Length - 67.4 '...Chrysler Certified Pre-Owned means you not only get the reassurance of a 3Mo/3,000Mile Maximum Care Limited Warranty, but also up to a 7-Year/100,000-Mile Powertrain Limited Warranty, a 125-point inspection/reconditioning, 24hr roadside assistance, rental car benefits, and a complete CARFAX vehicle history report.